Why is NY ignoring Health Impact Study? Back in March, when the NY legislature was haggling over the state budget, the Assembly added a $100,000 line item for a health impact study on the public health impacts of fracking. As assemblywoman Barbara Lifton explains, “A health study is supposed to be part of an environmental impact study to begin with.” Indeed, the State Environmental Quality Review Act (SEQR) lists a number of environmental factors that must be taken into account before beginning a project: land, air, water, agricultural resources, community character, and human health. But the Senate and Governor Andrew Cuomo axed the health study because, they said, the state regulators needed to finish the environmental review. Also, eliminating the study saved taxpayers $100,000 – a whopping 0.00007 percent of the recently approved $132.6 billion budget. Lifton isn’t the only one asking for a health impact study - and she’s not the first. Last October more than 250 health professionals signed on to a letter asking state officials to study health risks related to gas drilling before permitting hydraulic fracturing in the state. 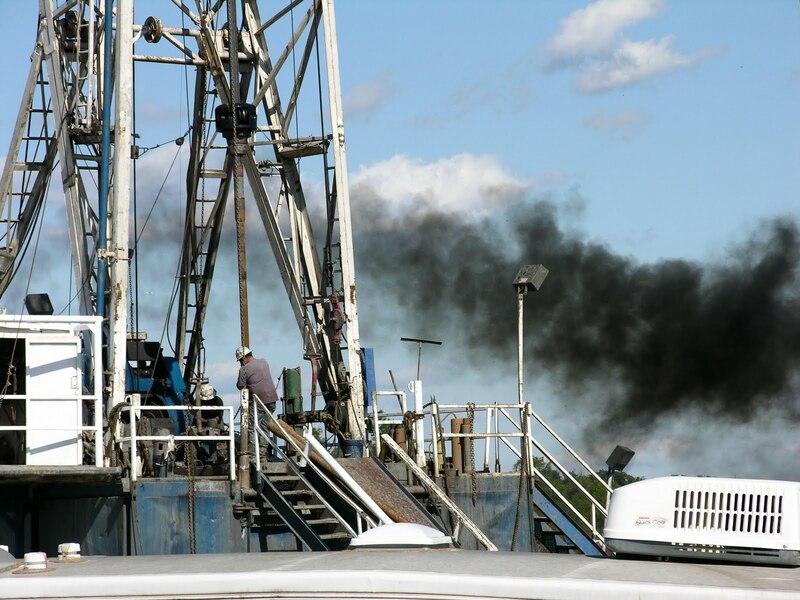 Meanwhile, information on health impacts from other drilling states piles up – much of it focusing on the impacts of air quality impaired by drilling activities. December 2011- Texas Commission on Environmental Quality (TCEQ) finds that releases of volatile organic compounds from oil and gas operations increased 60 percent over five years. TCEQ found elevated benzene levels at 21 of 94 Barnett well sites tested. Baylor University reported a higher incidence of asthma in children living in the Barnett shale region: asthma rates for children in Tarrant County were more than twice the national average. 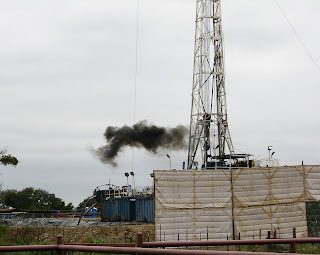 March 2012 - researchers at the Colorado School of Public Health report that air pollution caused by hydraulic fracturing may contribute to acute and chronic health problems for people living near drilling sites. They identified a number of potentially toxic hydrocarbons in the air near wells: benzene, ethylbenzene, toluene, xylene, heptane, octane, diethylbenzene and more. Oh yeah – the price tag of the Colorado study: $150,000, funded by Garfield County. That’s only half again what the NY Assembly asked for in the state budget. The cost for such a study isn’t the problem. The real question is: why isn’t the NY Department of Environmental Conservation following State environmental law (SEQR) and conducting a health impact study as part of the SGEIS? Today the Susquehanna River Basin Commission announced that they are temporarily suspending 17 separate water withdrawals due to reduced stream flow levels throughout the Susquehanna basin. A winter with little snow, followed by a spring with below-normal rainfall means there’s just not enough water to go around. SRBC executive director Paul Swartz said that the majority of those suspended withdrawals are related to water for natural gas development. Under SRBC’s passby flow restrictions, when streams drop to pre-determined protected low flow levels, regulated projects withdrawing water must halt their activities. They cannot resume taking water until streams have recovered above the protected level for at least 48 hours. “If rainfall shortages persist,” Swartz added, “the Commission anticipates more water withdrawals being suspended, as was the case in 2010 and 2011.” And they’re not going to wait for DEP to declare a drought…. “Our science-based stream protection system kicks in well before streams drop to critical low levels,” he said. Congressman Maurice Hinchey (NY) is calling on President Barack Obama to enforce stronger protections from air pollution caused by shale gas drilling. In a letter signed by 20 of his House colleagues, Hinchey asks for the Environmental Protection Agency's (EPA) New Source Performance Standards to be finalized. These standards will address growing air pollution and public health impacts related to the rapid expansion of drilling in the United States, Hinchey says. Hinchey pointed to the pollutants that shale gas drilling emits: smog-forming chemicals, Volatile Organic Compounds (VOC’s), hazardous air pollutants such as benzene, and methane. These pollutants contribute to serious health problems. He highlighted a recent report published by the Colorado School of Public Health. The report, based on three years of air quality monitoring, found higher cancer, respiratory and neurological health risks (including headaches, chronic dizziness, eye irritation and difficulty breathing) among people living closest to drilling sites. People living near wells breathed in volatile organic chemicals at five times the level at which the emissions are considered potentially harmful to public health, Hinchey noted. He also pointed to the Medical Society of New York which recently urged caution with expanded drilling and called for more study on those impacts before more drilling moves forward. The EPA’s proposed New Source Performance Standards, when fully implemented, would cause significant air pollution reductions, including: 540,000 tons of smog-forming chemicals, an industry-wide reduction of 25 percent; 38,000 tons of toxic air pollutants, an industry-wide reduction of almost 30 percent, and; 3.4 million tons of methane, an industry-wide reduction of about 26 percent. The lion’s share of these reductions come from ending the wasteful practice of venting or flaring pollution from new hydraulically fractured gas wells directly into the atmosphere, said Hinchey. The new rules would require companies to capture these emissions, a time-tested technique that can be readily implemented. You can read his letter to the President here. 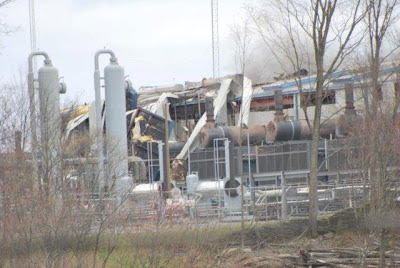 The PA Department of Environmental Protection (DEP) announced earlier today that it will hold a public briefing to "discuss the circumstances surrounding the Lathrop compressor station explosion that occurred March 29 in Springville Township, Susquehanna County." That meeting will be on Tuesday April 17 from 6-8pm at Montrose High School, 75 Meteor Way, in Montrose - the time originally scheduled for a public hearing on four other proposed compressor stations. Representatives from DEP and Williams Partners, LLC, the owners of Lathrop, will be on hand at the briefing. “This is an opportunity for DEP and Williams to answer questions people in our community have,” said DEP Northeast Regional Director Mike Bedrin. He notes that there has been a "significant amount of interest" in the event. As for the public hearing originally scheduled to discuss air quality permits for the four proposed compressor stations in Susquehanna County - that meeting and hearing has been re-scheduled for Thursday April 26 at 6 pm in Elk Lake High School, 2380 Elk Lake School Road in Springville. On Tuesday, April 17 the PA Department of Environmental Protection will hold a public meeting and hearing to discuss air quality plan approval applications from Laser Northeast Gathering, a subsidiary of Williams Partners. The company plans to construct three separate natural gas compressor stations in Liberty, Middletown and Forest Lake townships in Susquehanna County, PA. This hearing comes less than 3 weeks from an explosion and fire at the Williams Partners’ Lathrop compressor station in Springville Twp, also in Susquehanna County. 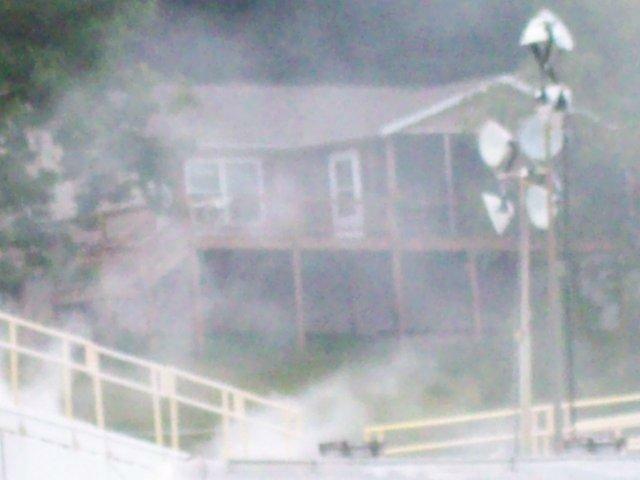 On the morning of March 29 neighbors were surprised with a bang and shaking ground, followed by thick, black smoke spewing from the Lathrop compressor. The facility, which houses seven compressor engines, has only been on-line just under two years – they started operations in June of 2010. The compressor station is linked to at least 10 wells and, according to a Cabot Oil & Gas spokesperson, moves approximately 365 million cubic feet of gas every day. Media reports place blame for the explosion on a small gas leak. Fortunately, the leak triggered an evacuation alarm and automatic shut-down procedure. On-scene investigators speculated that it might take months for the station to resume operations, and DEP told Williams not to restart the compressor without the agency’s permission. But within a couple days the company had the compressor up and running again. Everything worked properly, claims the company. As for state agencies, they don’t seem to have any regulatory authority. The PA state Public Utility Commission halted its investigation after determining the station was “outside its regulatory reach”. As for the new compressor stations Williams has planned for Susquehanna County – well, maybe the public will have something to say about those. The April 17 Public Hearing is scheduled for 6 pm at Montrose High School, 75 Meteor Way. Rescheduled for Thursday April 26 at 6 pm in Elk Lake High School, 2380 Elk Lake School Road in Springville. DEP will explain the review process. The hearing portion opens at 7:30 pm and people will be allowed to present up to 5 minutes of testimony. DEP is accepting written comment submitted by May 17; mail comments to: DEP Air Quality Program Manager, 2 Public Square, Wilkes-Barre, PA 18703. For more information, visit www.dep.state.pa.us or call 570-826-2511. 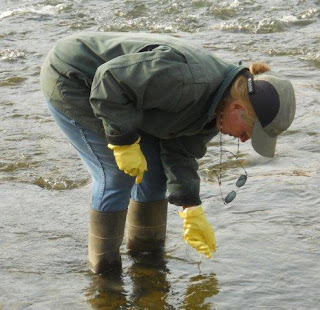 For the past year or so, volunteers have braved icy waters and slippery rocks to collect samples of the streams in the Cayuta-Catatonk watershed. 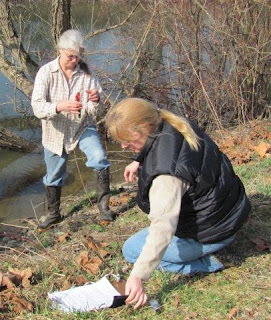 Their purpose: to develop a baseline study of water quality for local streams before large scale unconventional drilling moves into the Southern Tier of NY. No one can say with certainty how hydraulic – or any other kind of fracturing – might impact local waters. But everyone, from industry to cooperative extension, recommends obtaining a baseline study. So every month, members of the Cayuta-Catatonk Water Watch calibrate their instruments, don rubber boots, and head out to their testing sites. The teams note physical characteristics of the streams: water level, flow rate, temperature and other observations. They also measure pH (acidity), conductivity, hardness and dissolved oxygen. These serve as the best “red flag” indicators of potential problems resulting from drilling accidents. In addition to the physical and chemical tests, some volunteers are keeping tabs on the Benthic Macroinvertebrates (BMI) – the caddis flies, stoneflies, beetles and other small organisms that live at the bottom of streams. Some insects, such as stoneflies, are more sensitive to pollutants. So their presence or absence is a useful indicator of stream health. As with the chemical testing, BMI sampling doesn’t take long and is something that people of all ages can do. After recording the physical characteristics of the stream and measuring flow rate (easy to do with a length of rope, an orange and a stopwatch) they “kick and pick”. One person kicks at the stones and gravel, stirring up the river bottom while his partner stands just downstream with a large net to collects benthic insects, snails, pebbles and debris. That’s the “kicking” part. The “picking” comes when they empty the contents into a bin and pick small insects off the net to make sure they get included in the sample. Over the next couple months the Community Science Institute (the lab overseeing volunteers) is recruiting volunteers in Broome, Tioga, Chemung, Steuben and Schuyler Counties. 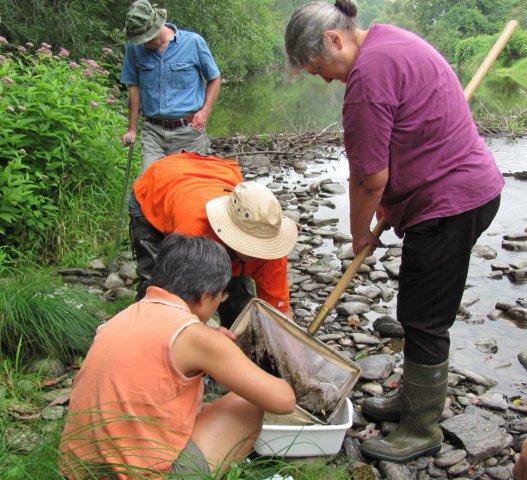 Cornell Cooperative Extension is collaborating on a series of introductory meetings. One is happening this Tuesday, April 10 in Owego at 6pm in the Tioga County Office Building Hubbard Auditorium, 56 Main Street, Owego. There are more scheduled over the coming weeks. If you would like to get involved please contact Becky Bowen at becky@communityscience.org or call 607-257-6606. Chesapeake Energy is at it again. They recently mailed hundreds of letters to landowners in the Tioga County Landowners Group, letters that contained a “Notice of Force Majeure” and an “Offer of New Lease”. The force majeure letters should really be called “farce majeure”. There is nothing stopping Chesapeake from drilling in NY. The company could exploit Oriskany and Medina and any number of hydrocarbon-bearing layers. But they don’t want to; they have decided that the only thing worth drilling is Marcellus shale, and maybe Utica, and the only technology they can possibly use is high-volume horizontal hydraulic fracturing. Then there’s their new lease terms: $500 per mineral acre with a 12.5% royalty – the basement bargain rate. Furthermore, these punitive terms make it possible for Chesapeake to extend the lease indefinitely. Oil and gas attorney Chris Denton weighed in on the matter. The new lease is much worse than their old lease he said. Why? The new lease has an Arbitration Clause which, in their old leases, they are using to try hold our members into expired leases. This clause is one of the more egregious provisions in the lease. The new lease specifically declares that Chesapeake does not have to drill, prevent drainage, develop or even market the gas during the lease term. In other words they are effectively "warehousing the landowner". If they don't drill, then there are no royalties. The lease gives Chesapeake the right of first refusal on any top-leasing or renewals. How many offers is a landowner likely to receive if the offeror knows that someone can outbid him? This provision takes away the landowner's right to better economic opportunities. The Chesapeake lease has an incredibly broad Force Majeure Clause, effectively allowing Chesapeake to extend the lease for a host of bumps in the road for them. They even require the landowner to waive any damage claims against Chesapeake. Chesapeake is currently trying to tie up your lease with a weaker Force Majeure claim. The new clause is worse for the landowner. The lease allows gas storage, which likely will effectively bar the landowner from developing and recovering any gas or oil if gas is stored. There are no surface rights protections of any substance. There is no base line water testing. There are no restrictions on open pits or on site waste disposal. There are no drainage protections and no pipeline specifications. There is no audit provision and the royalty is paid after deductions. The lease allows Chesapeake to construct compressor stations on the property and to place as many pipelines as it deems convenient. Also this lease gives Chesapeake exclusive rights to your property, preventing you from measuring or testing your own gas and oil. Worst of all, Chesapeake's lease can never be forfeited by them for violating any terms in the lease. You can never evict them for violating any terms of the lease. In other words, they can stay there no matter how many times and no matter how large the violation occurs.